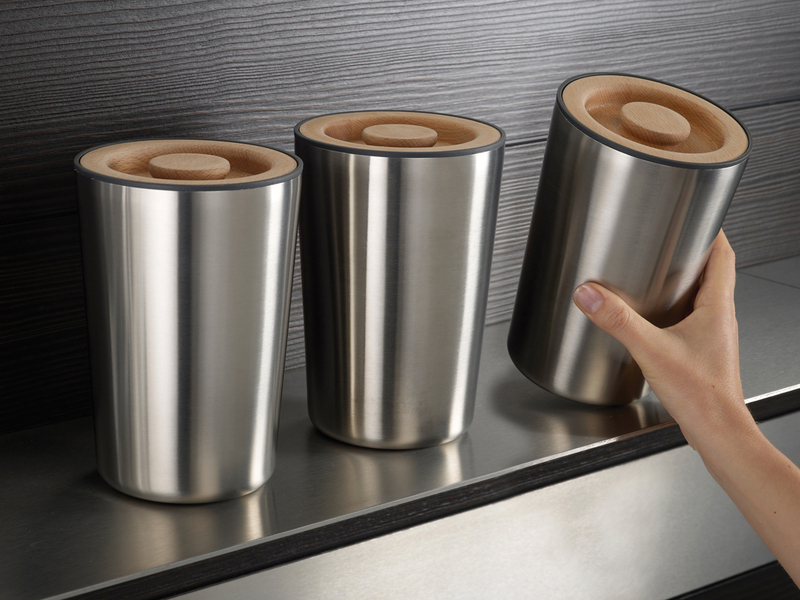 These stainless steel storage containers have just been added to the Joseph Joseph “100 Collection”. With a large 1-litre capacity and a durable construction they are perfect for storing all kinds of dry foods. They have solid beech lids with easy-to-grip handles, airtight silicone seals – to help keep food fresher for longer – and are finished in brushed stainless-steel. Together with our 100 Collection bread bin they make a stylish range of coordinated storage.